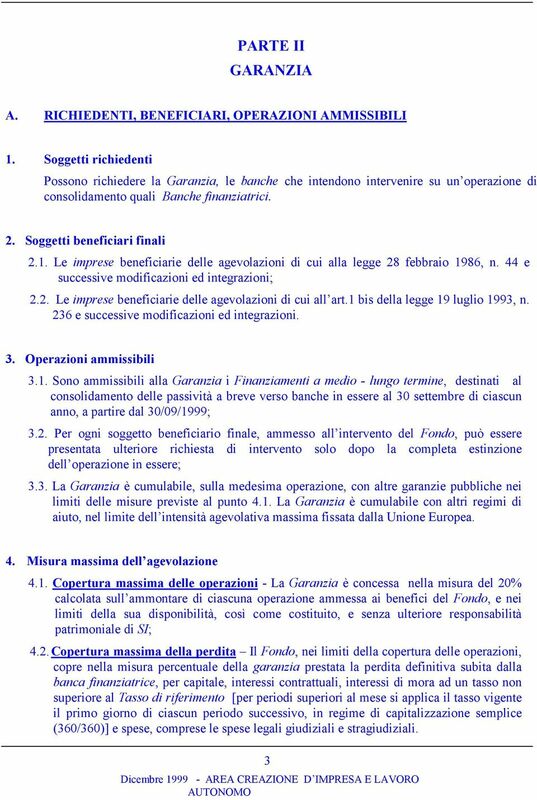 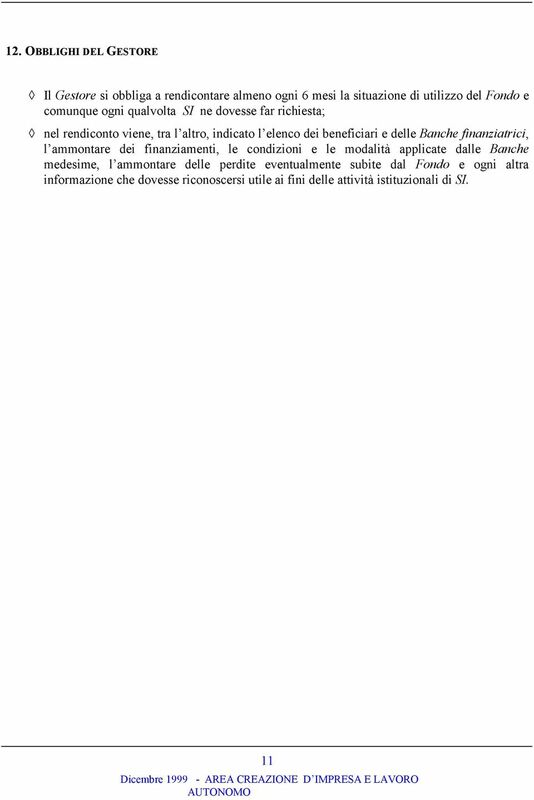 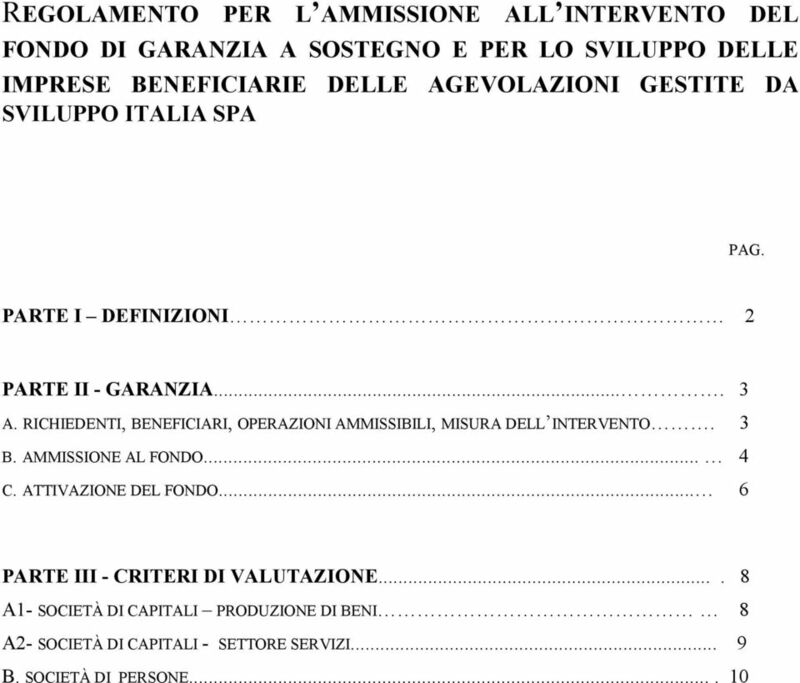 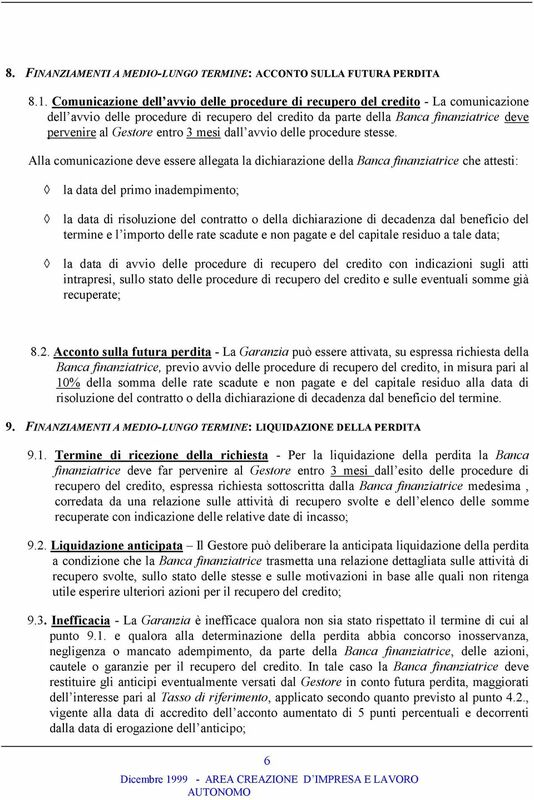 Download "REGOLAMENTO PER L AMMISSIONE ALL INTERVENTO DEL"
REGOLAMENTO PER LA FRUIZIONE DELLE AGEVOLAZIONI FINALIZZATE ALLA RILOCALIZZAZIONE DI ATTIVITÀ PRODUTTIVE COLLOCATE IN AREE A RISCHIO DI ESONDAZIONE AI SENSI DELLA LEGGE N. 228/97 E SUCCESSIVE INTEGRAZIONI. 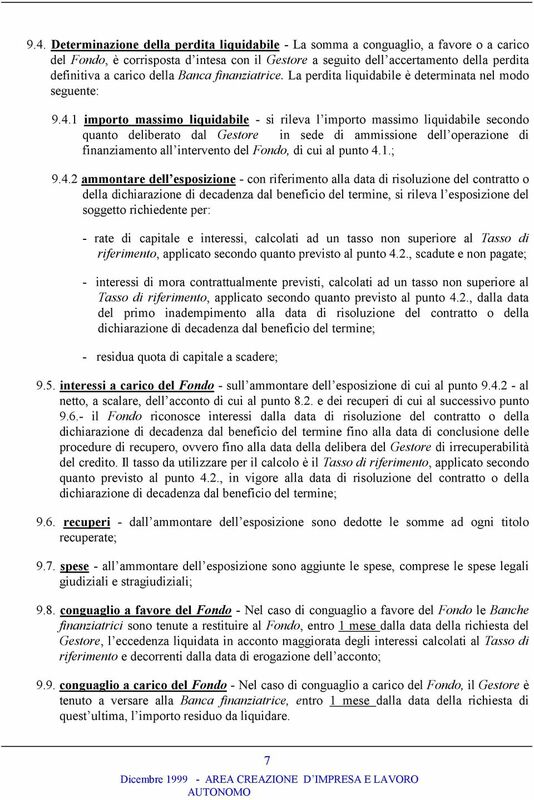 FONDO PER LA PREVENZIONE DEL FENOMENO DELL USURA (art. 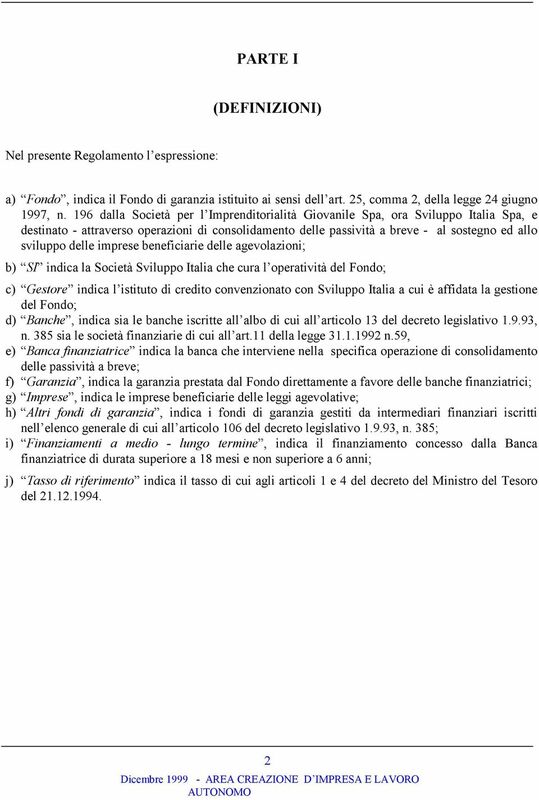 15 - Legge 108/96) CRITERI E PROCEDURE LINEE GUIDA OTTOBRE 1998 CRITERI E PROCEDURE 1. 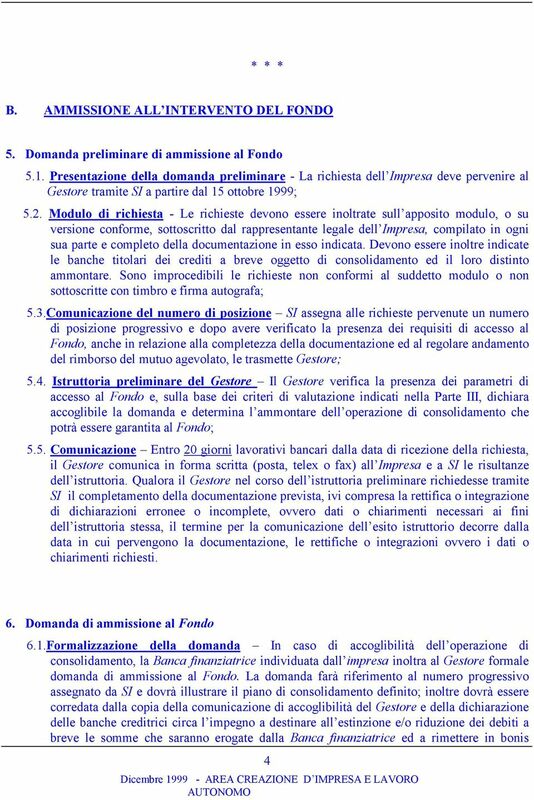 PREMESSA 2. 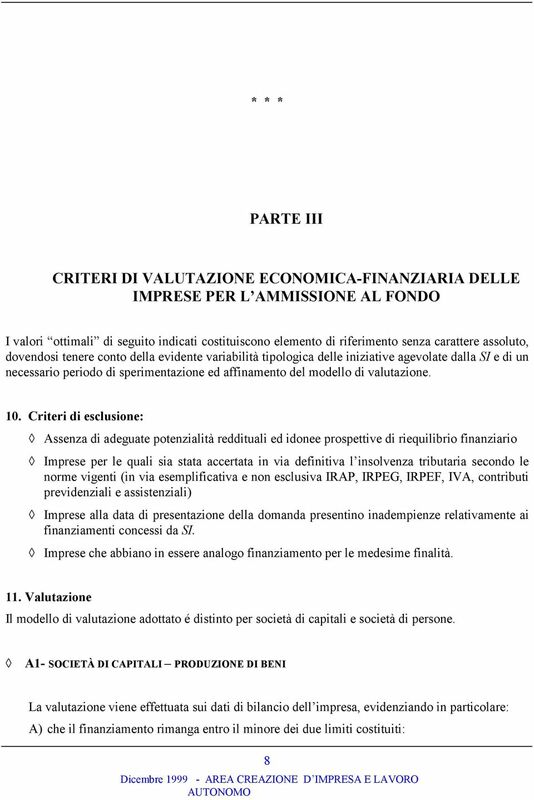 CARATTERISTICHE DELLA CONVENZIONE ANTIUSURA 3.